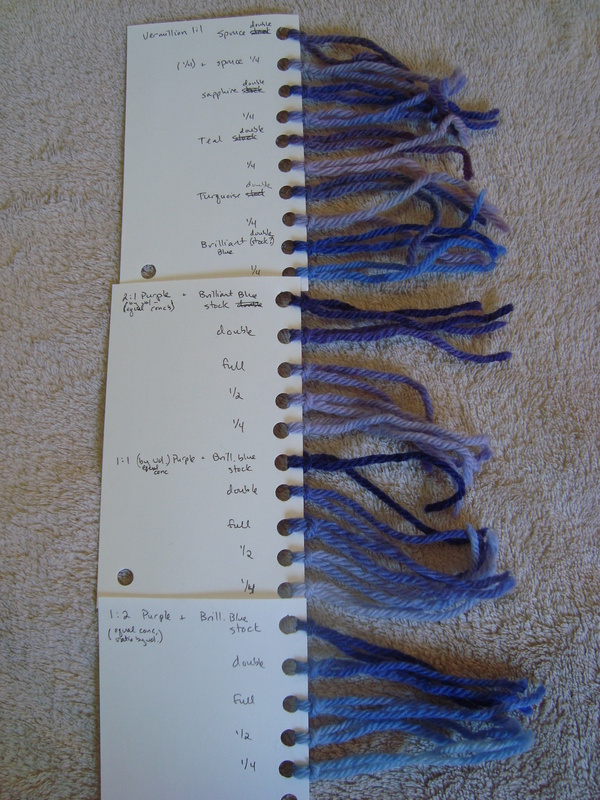 Since I suddenly find myself with an embarrassment of wool types to play with, I thought I’d do a bit of a comparative study. I noticed very quickly that staple length had very little do do with the coarseness of the fiber. 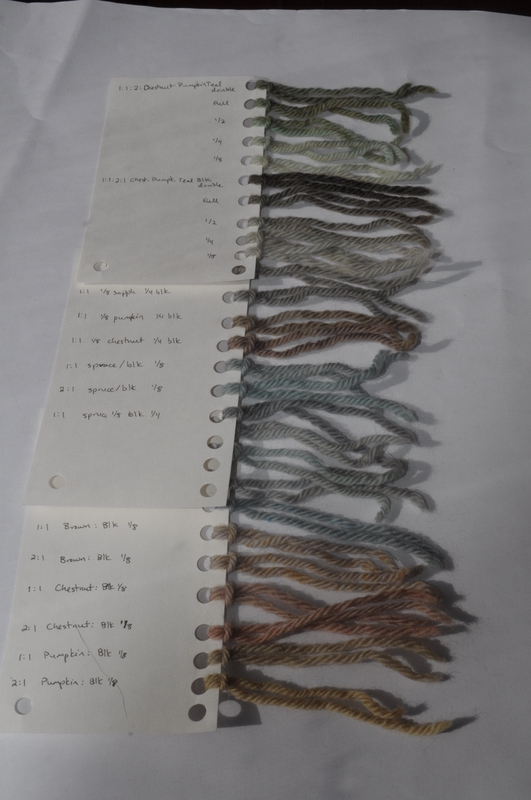 Just comparing the four longest staple lengths, you can see what a difference there is in coarseness of the fiber. 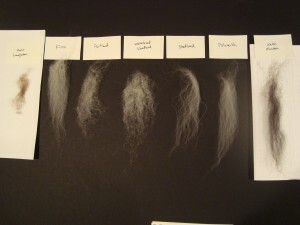 The White welsh (the shortest of the four) is incredibly hairy, with guard hairs that are almost like fine wire. The Lincoln is also pretty hairy, but the Masham is actually quite fine. 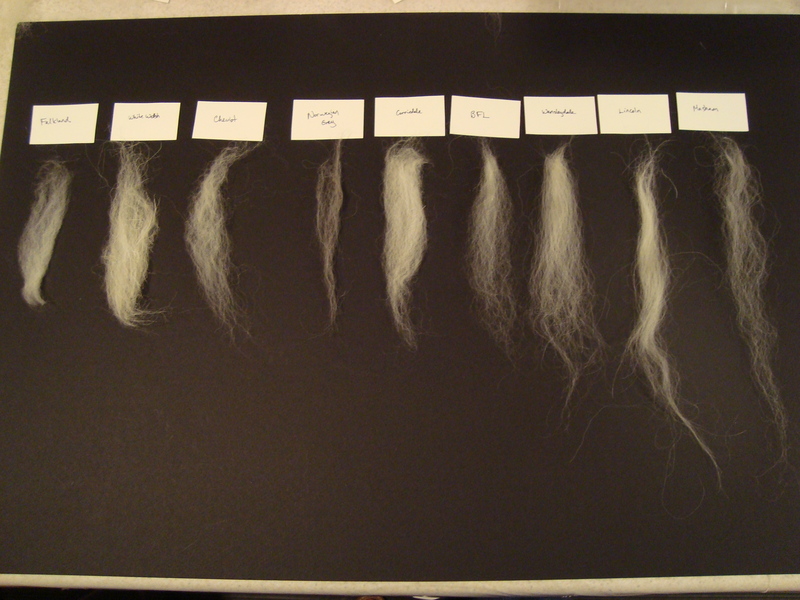 The Norwegian Gray and Lincoln really are very coarse; they feel more like human hair than wool. 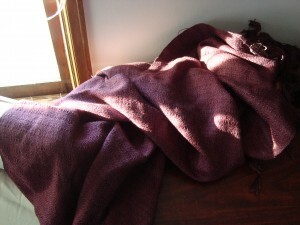 The stiffness of the hairs will make them poke out of a spun yarn, and it will be more likely to feel itchy (think low-quality alpaca, mohair or cashmere that hasn’t been fully dehaired). 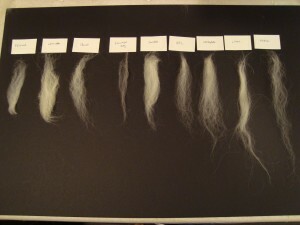 By this ranking, even the White Welsh with its wiry guard hairs is smoother than the Lincoln, which is a very grabby fiber. 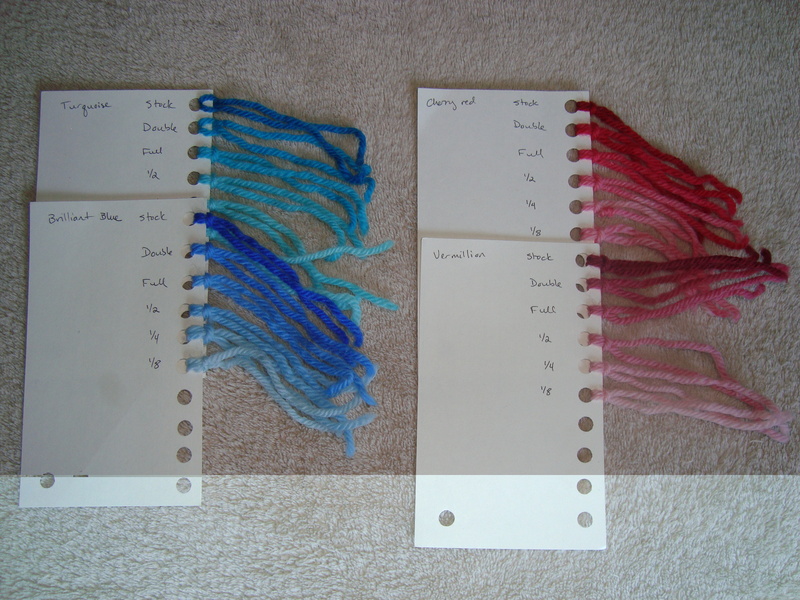 Both the Wensleydale and the Masham are very long-stapled fibers, but they are about as “sticky” as BFL (which is not very sticky). I imagine that these “scalier” fibers will felt very well, though I haven’t tested that to be sure. Still, if I were looking for a rugged wool to felt into hard-wearing (but not particularly soft) items, Lincoln would probably be my first choice. 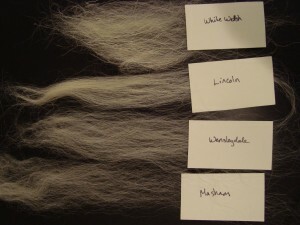 White Welsh might work well here, too, since it has so many fine fibers mixed in with the coarse ones. 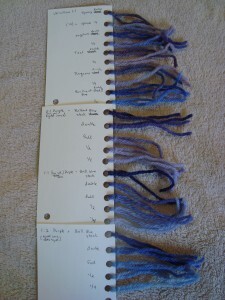 The finer fibers might help the felt hold together nicely. Honestly, I can’t imagine using the White Welsh for much else; those guard hairs are just too stiff (and too plentiful) for me. For spinning and knitting, I would happily use any of the finer fibers. 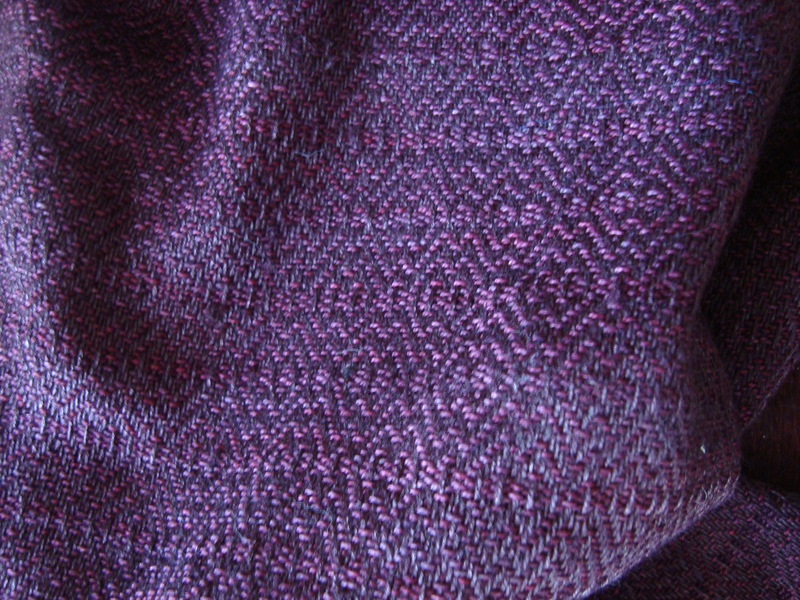 I was surprised to find that Corriedale – which is one of my go-to wools – is so high up on the coarseness scale. 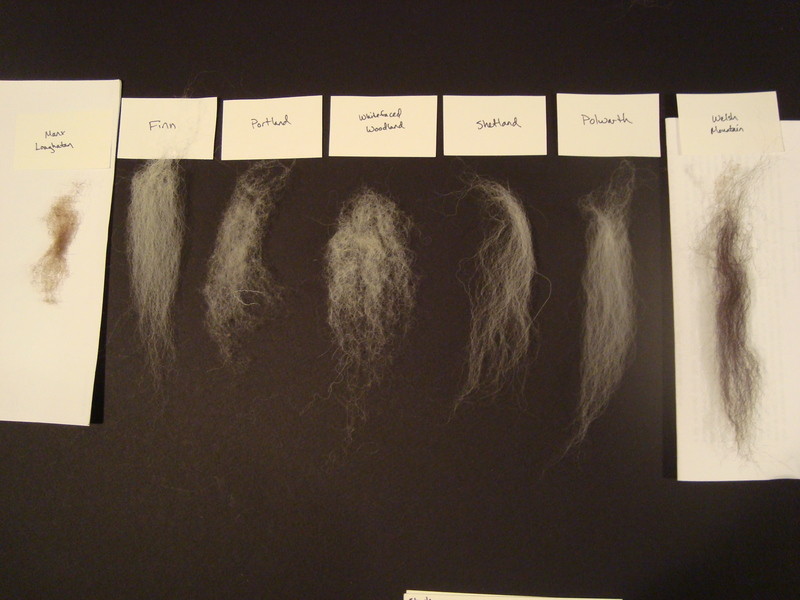 I would have expected it to be much closer to the fine fibers, but it’s pretty far down the list. Unsurprisingly, my favorite “special” fibers like Finn, Falkland, Polwarth and BFL are at the fine end of the spectrum. 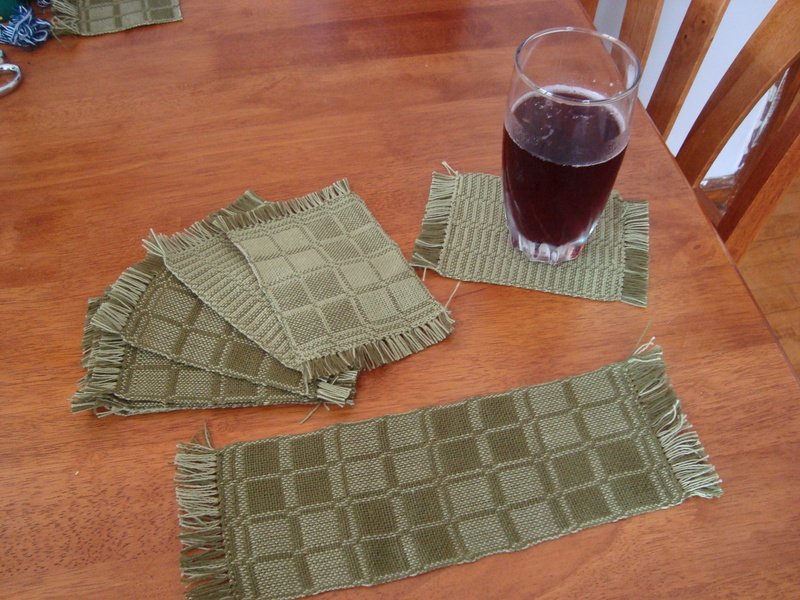 I was surprised and somewhat amused to realize that, with all this wool in the house, I have no Merino to compare to. It’s never been a must-have for me, and it’s apparently faded out of my collection entirely now. I wish I had a little to compare to these other breeds, though, as a standard yardstick measure for fineness. 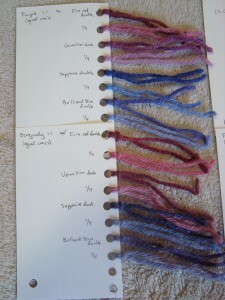 From the longwools, I would definitely knit/spin with the Masham and the Wensleydale. 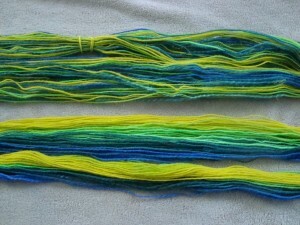 I think they will probably make a slightly coarser yarn, but one that’s comparable to Corriedale, which I don’t find itchy at all. It will be really fun to work with a staple that long, too. For me, BFL is a long staple at 5-6 inches; both the Wensleydale and the Masham are pushing 9 or 10. 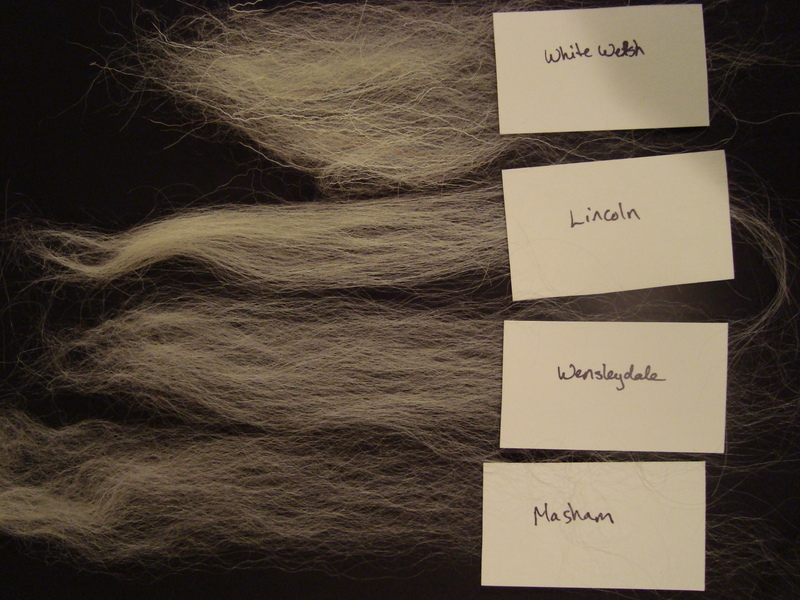 I think that the Cheviot will also be similar to Corriedale, and the Portland and White Woodland may be a little less soft. The Norwegian Gray is an interesting fiber. 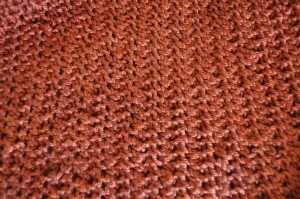 It is very coarse and heavy, but it isn’t terribly scaly. 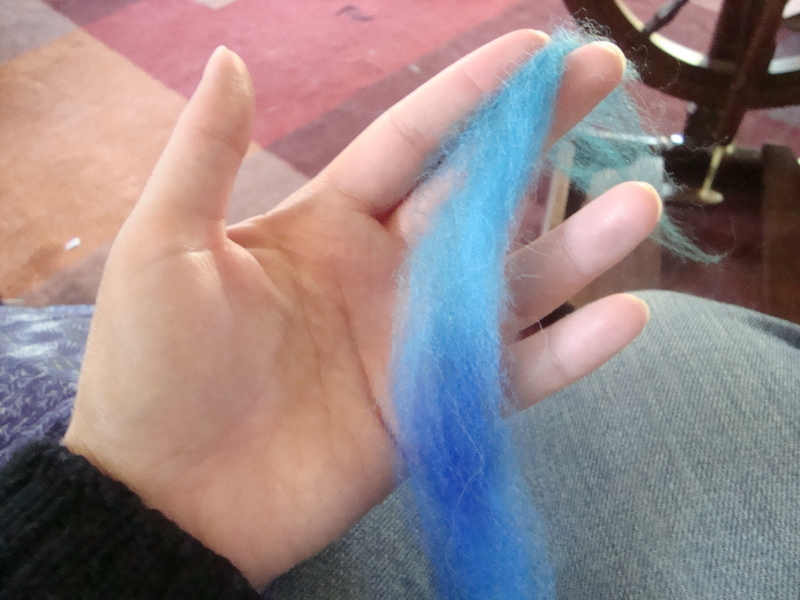 It feels almost like a coarse alpaca, with that similar oily texture to it. I don’t really know how it will spin up, but it will be interesting to try. The Manx Loaghtan is completely different than the rest. 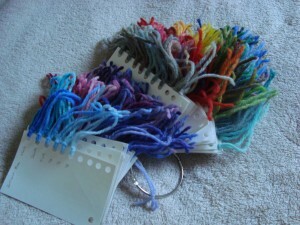 It has an incredibly short staple, and looks like a very delicate fiber. This particular preparation is not very good (I was warned before I bought it); it’s full of vegetable matter, and it looks like it has a fair number of second cuts. Still, it is very, very short and a little slippery, and it reminds me of the exotic fibers like Yak or Bison. 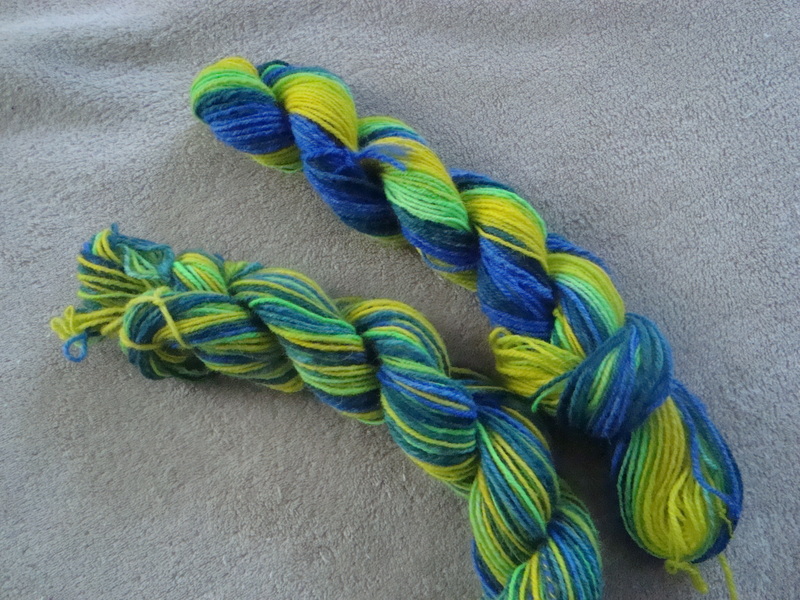 I’m not sure how it will spin up, but it will be interesting to see if it is as soft. Of course, now that I know a little more about these fibers, I need to start coming up with projects that will let me use them to their best advantage. 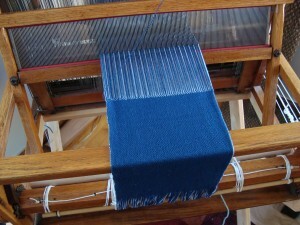 I am thinking that the coarser fibers might make good wools for rug weaving. 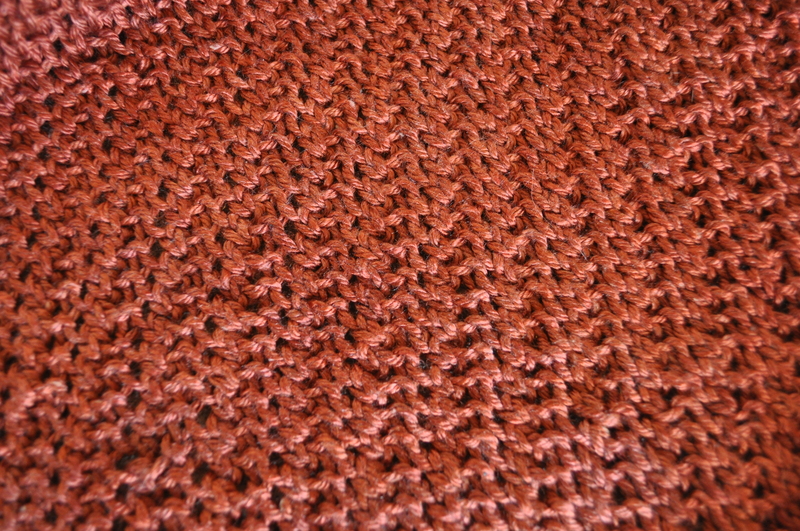 I’ve never tried that before, but having a rugged fiber to begin with seems like a good start for something meant to be walked on. 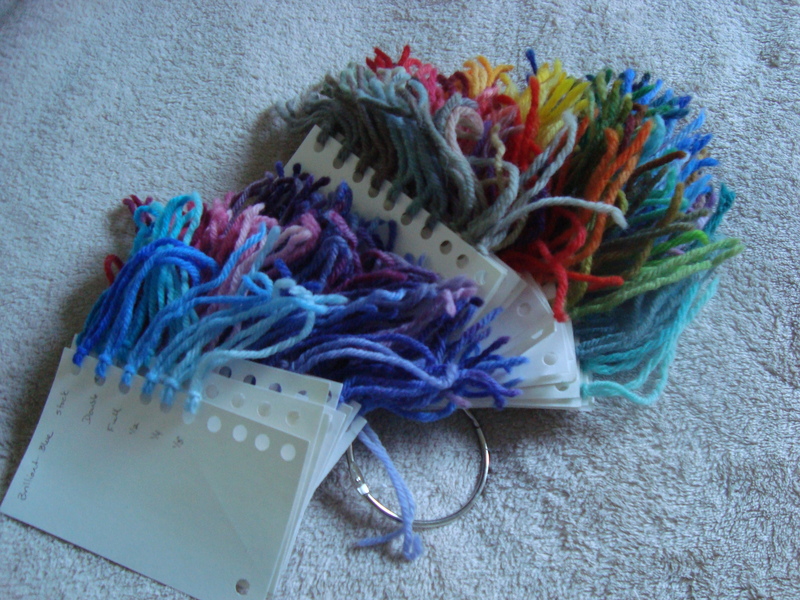 The fine fibers will probably turn into garments of some kind. 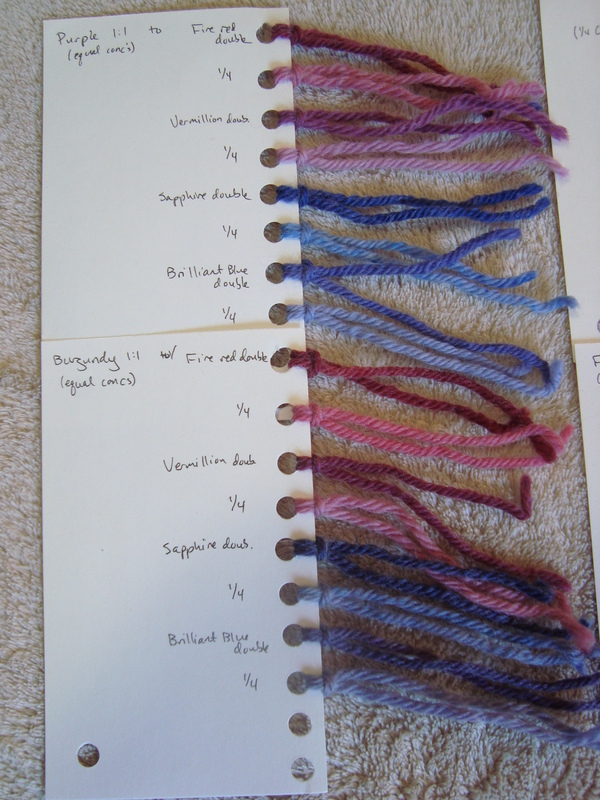 I’m also considering spinning up some samples for another side-by-side study, which would let me test some of my guesses about how these wools will behave. 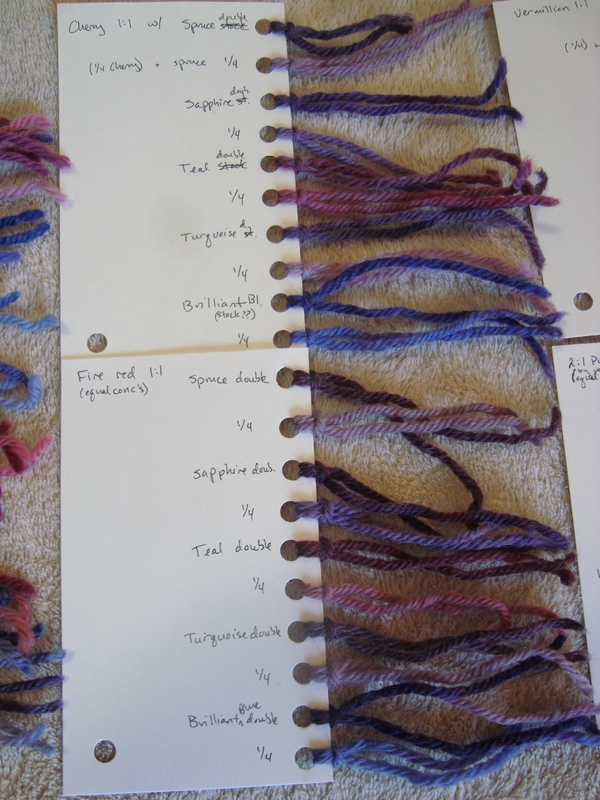 We’ll see if I manage to get to it before getting distracted, but I think it would be interesting to see how these different wools behave when spun, especially how the coarseness and scaliness play into the final texture of the yarn. Not much has gotten done this week, I’m afraid. We heard back on the house, and they went with someone else.I was afraid of that, since one of the other people looking at the place seemed to know the landlord really well, and if I were in her shoes I’d go with my friend over a stranger. So, we begin the house hunting again. 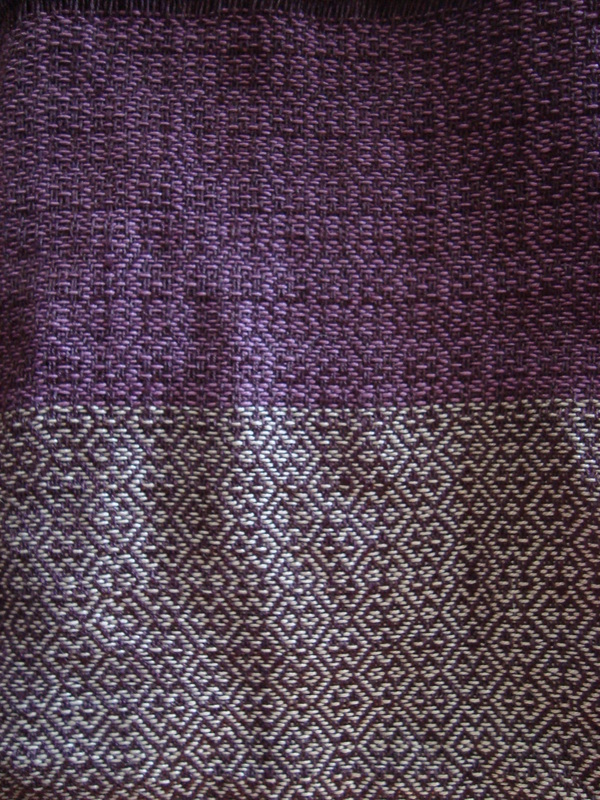 I’ve been swatching happily away for the past couple of weeks, using this as my bus knitting. 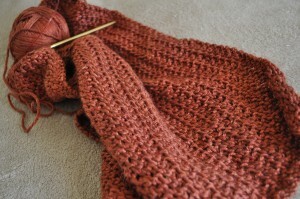 It’s made great progress, and I’m excited about the stitches I’ve been coming up with. But then, last Sunday, I finished one swatch and just couldn’t figure out where to start looking for another. I’m working on “plain weave” textures right now, feeling my way through two-color linen stitch variations. I’ve tried quite a few, but haven’t found what I want just yet. 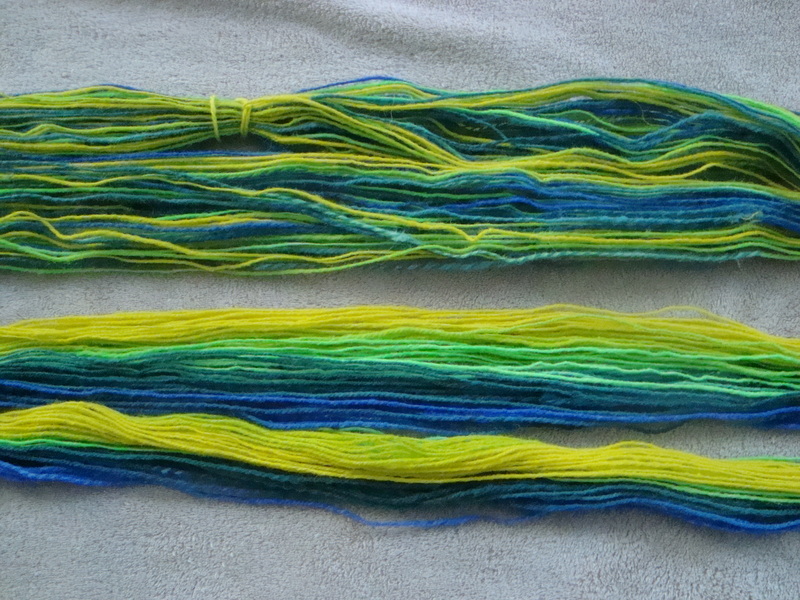 I thought I had it two or three times this week, knit a few rows, and then realized that no, that still wasn’t it. There’s a lot of one step forward and two steps back in this project right now. I think it’s getting closer, but it isn’t moving yet. 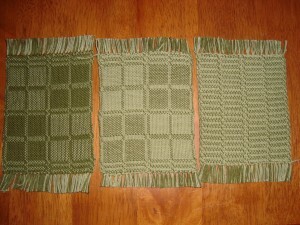 So, the scarf requires some more tinkering with stitch patterns and swatches. 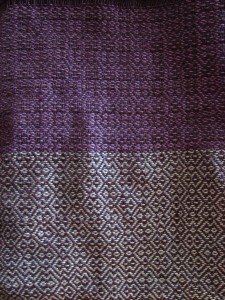 It’s amazing how hard it is to come up with interesting stitch patterns in fully reversible lace with simple repeats. I had fallen into two in a row almost by accident, but now it’s looking like others may be harder to find. That’s not a problem, but it requires time and brainspace to find what I want, and I’ve been rather short on both lately. And so, the Namaste scarf has also been put aside to ripen. 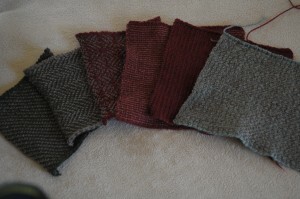 So, here’s hoping for more knitting next week! DesigKnit is powered by	WordPress 4.8.9 . Page generated in 0.400 seconds using 51 queries.